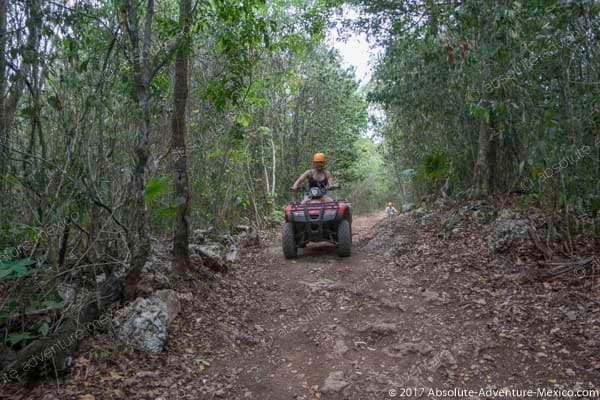 ATV Tour with Zipline and Cenote! All included with private guide. PRIVATE TOUR: Adrenaline private tour! 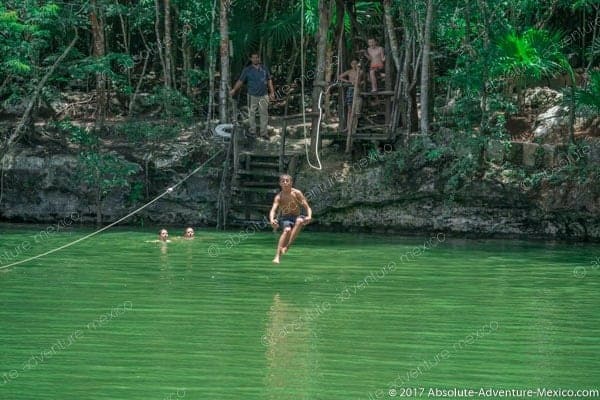 A unique half-day trip in the Mayan jungle: ride your own ATV, fly on ziplines and swim in a cenote. The perfect trip for adventurers! Enter name and address of the place. Additional fee may apply. 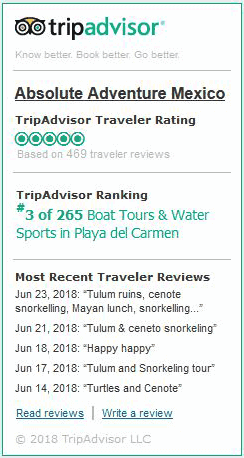 NB: We don’t offer this tour from hotels located South of Playa del Carmen. Book our ATV tour and get more! Get ready to speed and swerve, fly and sky, swim and dive. 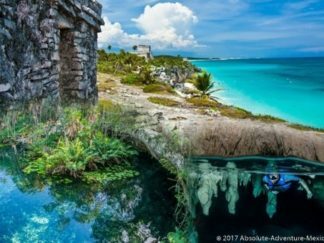 Absolute Adventure Mexico has made our most adventurous tour available to you. 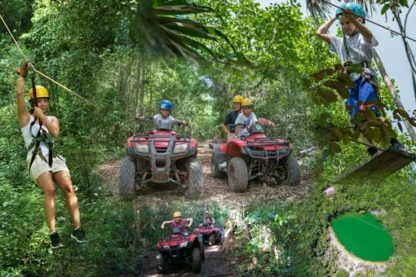 This adventure tour combines three of our most electrifying activities into one fun-filled day. It is truly a brand new way to experience the Mayan Jungle. To begin, you will start a rip-roaring tour through the jungle on an ATV. No, we don’t take you on the typical beaten paths. You will actually be driving through the Mayan jungle. We find that this is the perfect way to start the excursion by allowing you to get a great view of the jungle from the ground. Here, you’ll be able to see the vegetation of the area and truly feel like you are exploring a natural jungle. You may be able to get a glimpse of some native wildlife in the area. Next, we take to the skies. 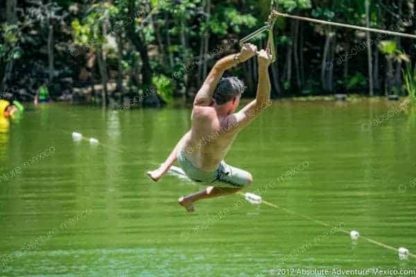 Many tour agencies only allow you to experience one zip-line chain. Well…we aren’t most tour agencies. 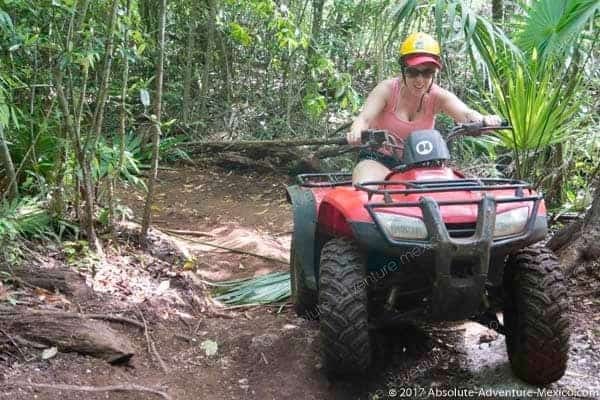 After your ATV tour, you’ll strap in for a fast-paced rush through the skies of the jungle on a circuit of zip lines. You will actually be flying high above the ground on which you just drove over. 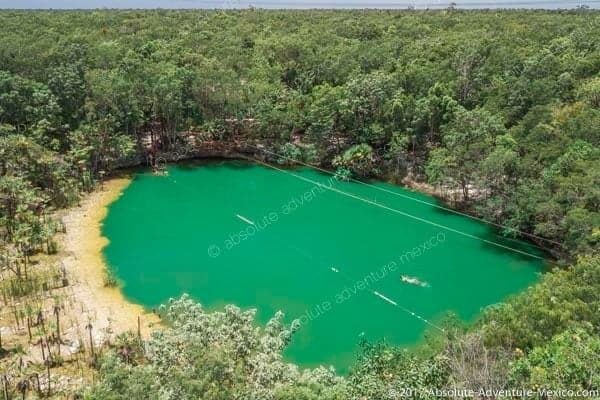 Lastly, you’ll enjoy a refreshing cool down in a natural cenote where you can swim and relax. Just like that you would have experienced the most diverse excursion ever. 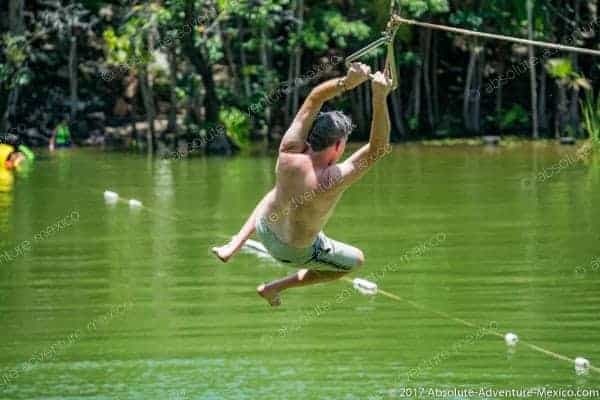 You will have started on the ground, taken to the air, and ended in the water. The entire private tour will last about 6 hours so plan accordingly. As always, we try to make the excursion unique to you and are happy to accommodate any requests. Age: Minimum 4/5 years old. 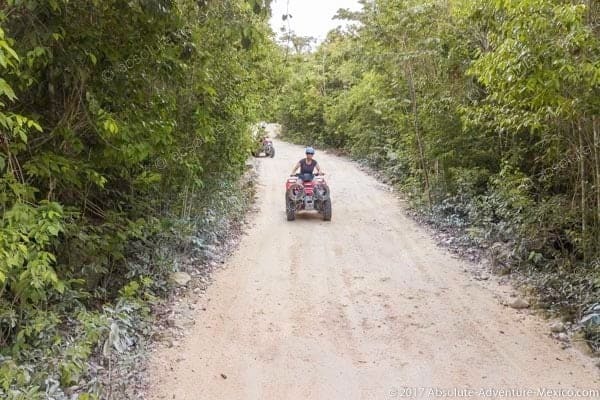 ATV tour: One ATV per person. No license required. Children may ride with the guide or an adult. If more than 8 people wish to partake, we will do 2 people per ATV and ride twice the track. 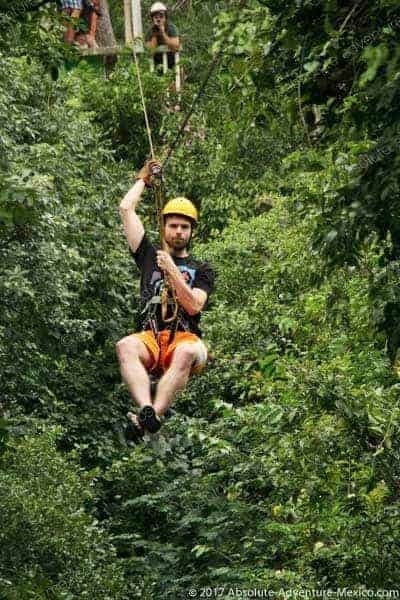 Zip Line tour:Weight Limit is 260 pounds (120kg). Our trip was AMAZING!! 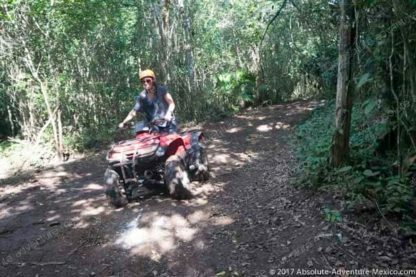 We did the ATV zip line cnote tour and it was perfect! Our tour guide Juan went above and beyond to make sure we had the best day ever!! 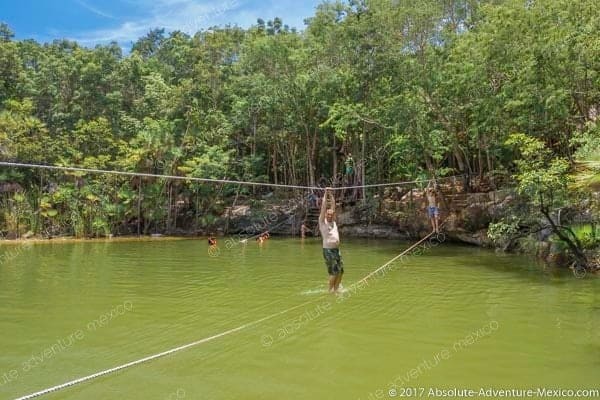 For the second year in a row our family booked an all day adventure with Absolute Adventure Mexico. 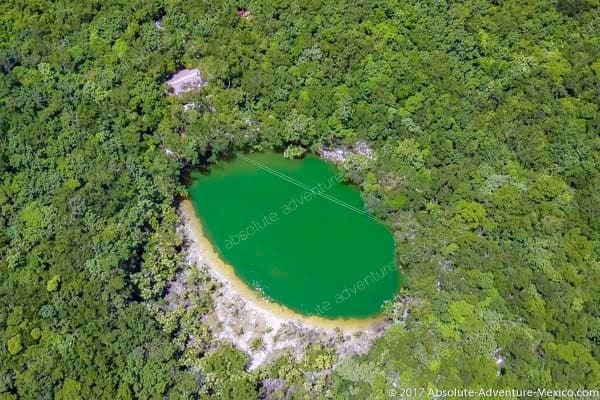 We chose ATV, Ziplining, and swimming in a cenote. It was awesome. Our kids and grandkids loved it. Chris was our guide again, and did a fantastic job of making us feel welcome, safe, and provided just the right amount of adventure and fun. Riding the ATVs through the jungle was exciting, ziplining was just the right mixture of fun and danger, and ziplining into the cenote brought a smile to all. Many thanks to Chris and AAM for another memorable day with our family. 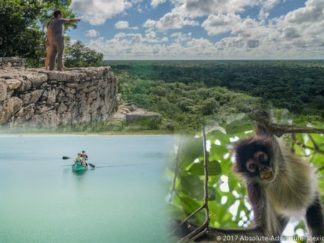 Be sure to book your RM adventure with Absolute Adventure Mexico. They are the best. We had such a nice time with our guide Chris. He was patient and accommodating on our zip line and ATV tour. We could not have asked for a better experience. We absolutely recommend Absolute Adventures! Really fun day for all. Juan who was our tour guide did great and made sure our group was safe and entertained the whole time we were there. 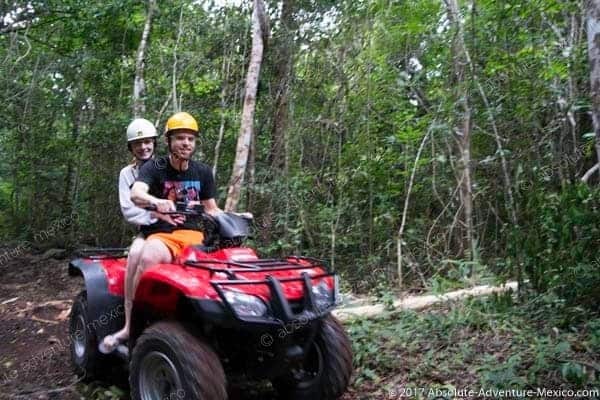 We chose the ATV, cenote and zipline private tour. It was a calm place and there were few tourists with us. Both adults and children of our group loved it, it was so much fun! 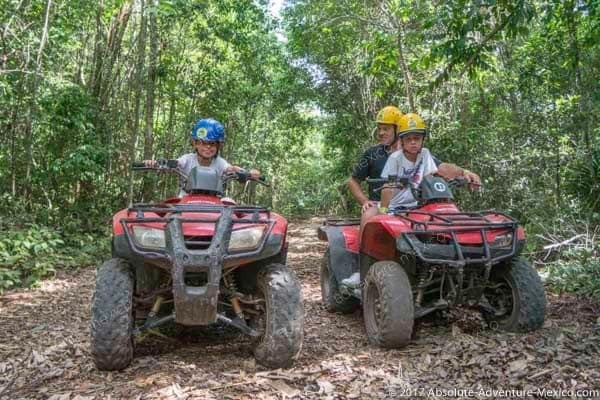 The ATV, zipline, cenote adventure was the best day of our holidays in Mexico. These guys were easy to reach and the whole booking process was simple. The private tour exceeded our expectations! 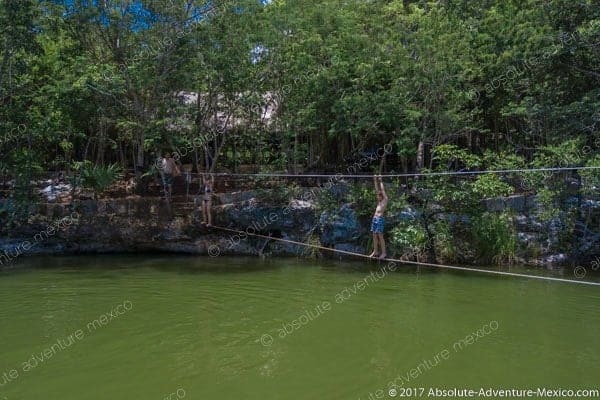 I recommend Absolute Adventure to anyone in Playa Del Carmen. This was so much fun. Our guide Juan was fantastic, personable and very knowledgeable. I have a 16, 14, and 10 year old, who all loved the day. Said it was the best activity of our time in Mexico. Highly recommend this tour! Absolute adventure was professional, and would book another tour with them in a heartbeat. 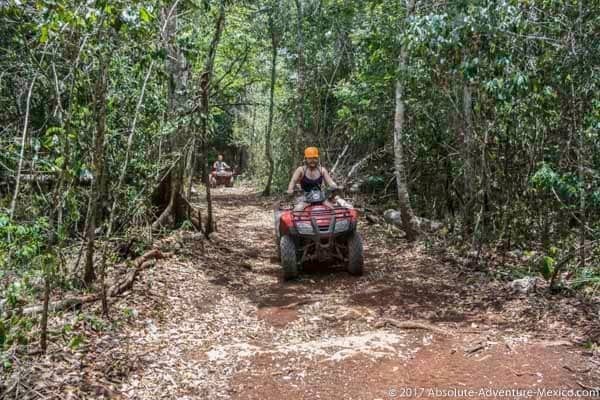 We did this Atv and Zip line tour with our three daughters aged 20, 21 and 23. It was so much fun and nothing better than having your own personal guide. Our daughter was so afraid to do the first zip line (she suffers from panic attacks). Chris was amazing and calmed her down by letting her go on the first one together with him. From there she was able to do the remaining 6 on her own. Claire, his business partner was very prompt to answer all my questions by email ahead of time and stayed in contact right up to the day of our adventure. We were also thrilled to receive the amazing photos that Chris captured which were all included! We will definitely book another tour with them if ever we have a chance to go back! Thank you Chris and Claire for your exceptional service and for the memories to last a lifetime! This was an awesome experience with my 15 year old son and his 3 best friends. They had a blast and all the guide was great. We had snacks served at the end of the tour. 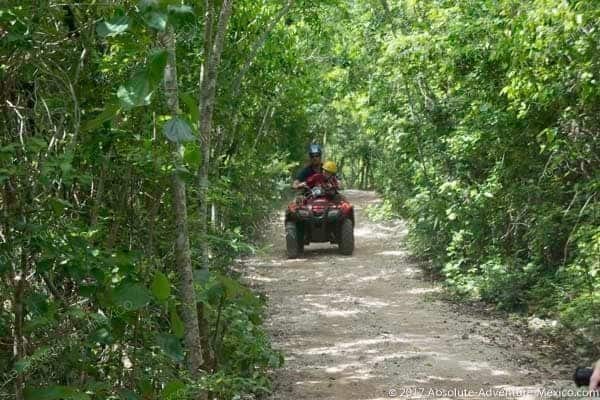 We did the ATV, zipline and cenote tour and it was so much fun. Juan Manuel was our guide. Juan our driver took care of our stuff when we were away. I highly recommend Absolute Adventures to everyone! It was perfectly organized and my kids had a great day. Our guide Juan Manuel and our driver Juan were super fun ! Enjoying the tour was easy, they had us laughing the whole day ! We did the ATV, zipline and cenote tour and we had a blast! I also really like the fact that they take you to eat to real local restaurants to help out the local people. Chris was our guide on our tour and he was awesome! From the first contact with his company, both Chris and Claire were very professional. Chris later explained that the ATV tour was muddy and only select ATV’s could go on the trail and he gave us options and suggestions on what we could do, even offering to have us cancel if we wanted. He was very personable with our young adult children (4) as well as my husband and me, and he had a great sense of humor too! 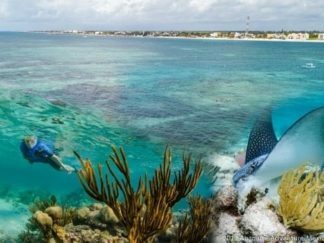 When we asked what other excursions we should partake in during our stay he was not pushy but rather told us that due to the weather he did not suggest some of his other tours, now we all thought that said a lot for not only him, but his company. Thanks Chris for the fun day! Had a wonderful adventure with our amazing host, Arturo. Each activity was memorable and one we will never forget! We tried so many new things in our 1/2 day tour and loved every minute of it. So glad we did this!! Fantastic day out for all. My friends and I did ziplining for the first time. They made sure you understood all of the instructions to be the safest as possible. 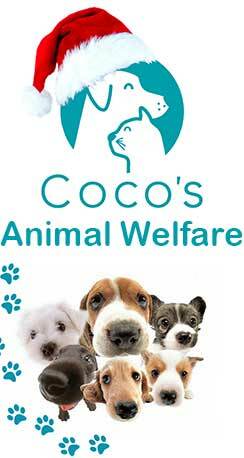 The staff is great as well and is there to make your experience the best! 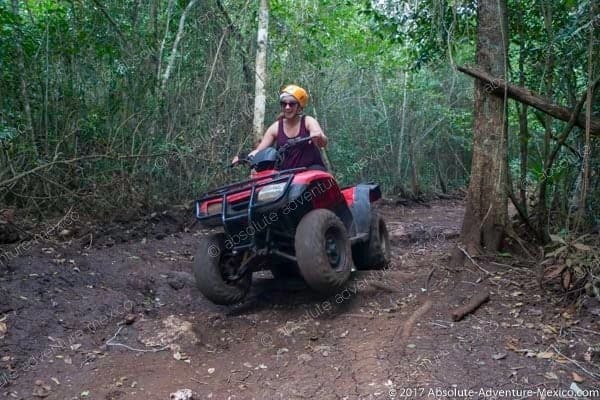 Arturo was great and fun guide throughout the trip at atv zipling and the cenote. This place was incredible!!! My group (6 total) and I chose the private tour of Ziplining, ATV riding, and Cenote swimming. For the price we paid it was such a great experience I’m actually surprised it wasn’t more money because it was the highlight of our trip. We started with Ziplining and even though I, and others in my group, were terrified of heights our guide Manuel put us at ease and made the experience so much fun. 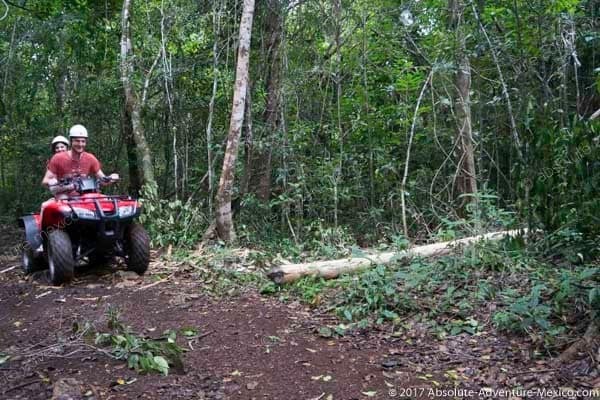 The second activity was the ATV’s. Riding through the jungle was so fun and muddy and we laughed the entire time. Lastly, we went swimming in the cenotes which was the perfect way to cool off and see caves and learn about the jungle. Afterwards we got a great meal and beer. Also, Claire made setting everything up so easy with her punctuality and help whenever a potential issue arose, I’m really grateful to have had her to communicate with. We booked for 4 adults. We were picked up on time at our hotel lobby with a clean modern van. The guide and chauffeur treated us like family. We were never rushed and the guide took us at a speed that was fun for everyone. We had a blast doing the 6th zipline “upside down”! Then we had the best time in both cenotes we were taken to. 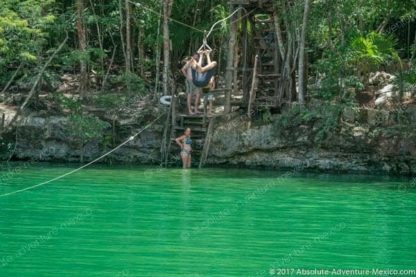 The zipline into the cenote is worth the trip on it’s own! This company knows how to make you enjoy the day. Thanks again !